Mirrors, Murals And Planters: Shop For Mosaic Home & Garden Decor From This Online Store! Do up your garden, balcony or dull corners in your home with these bright and colourful mosaic decor options from Vchitraa! Whether you're looking to buy a housewarming gift for friends and family or trying to give your house a much-needed makeover, you'll be sure to find something cute at Vchitraa. Started in 2018 by Chaitali, a self-proclaimed mosaic art lover, the online store sells an assortment of quirky home and garden decor accessories that are perfect for giving your mood and your home a lift. 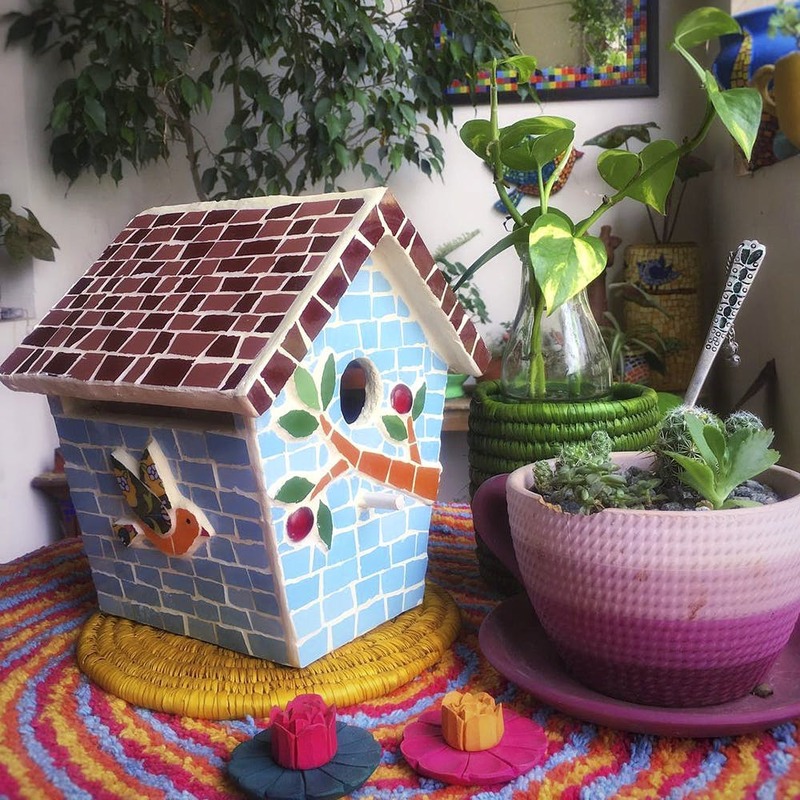 What we loved best about the store is their range of home decor options - from butterfly suncatchers, birdhouses and trays to terracotta platters and planters, everything is vibrantly painted and completely made out of mosaic tiles! If you're looking for an unconventional piece to beautify your home, check out Vchitraa's mirrors with mosaic borders. Starting from INR 1,000, they're perfect to add charm to any space. Want to dress up your favourite plants in your balcony? Take a look at Chaitali's handmade planters, that start from INR 1,000. Painted in bright, summery colours, we guarantee that they will brighten up your day. You'll also find beautiful wall murals priced at upwards of INR 1,500 (we're eyeing the one with the owl perched on the branch!). The best part? Every product on Chaitali’s Instagram feed is personally handmade and designed by her. And if you like her aesthetic and want a custom piece, she’ll do that too! Chaitali is soon going to start selling tableware accessories, including showpieces and coasters. Reach out to her on Facebook or Instagram to order in advance!